Mike Podhorzer takes you on a journey through the process of projecting baseball player performance and developing an Excel spreadsheet to perform the calculations. 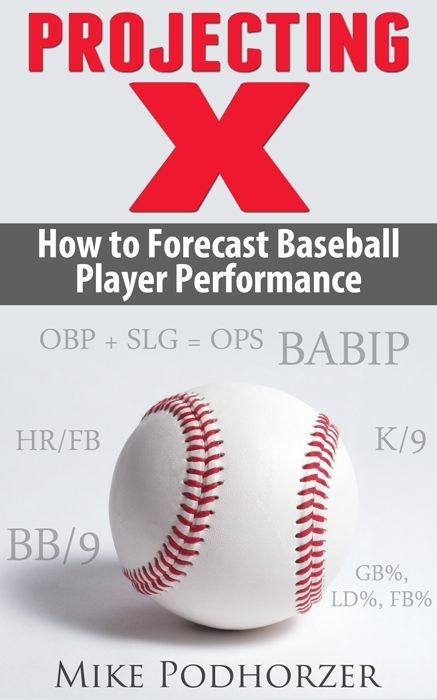 In Projecting X 2.0: How to Forecast Baseball Player Performance, Mike Podhorzer takes you on a journey through the process of projecting baseball player performance. As he walks you through an assortment of both basic and advanced metrics, citing various pieces of relevant research along the way, you will learn the whats, whys and hows of each statistic. After becoming an expert on analyzing the statistics and metrics used in forecasting, you will discover how to use those newly acquired skills. A complete step-by-step tutorial on developing an Excel spreadsheet to perform the calculations follows, as well as examples of the forecasting process in action as Mike guides you through a hitter and pitcher projection.